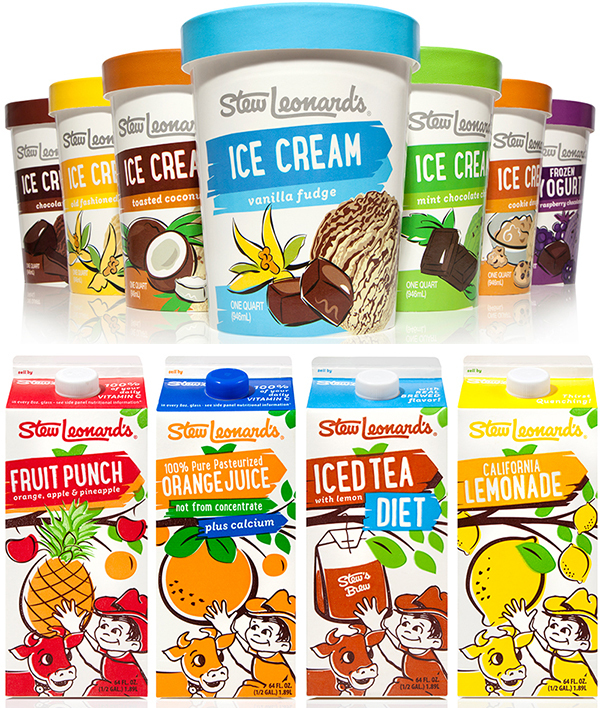 Stew Leonard’s dairy packaging has recently undergone a makeover. The new look ties a classic theme to an updated motif. “They had this cow and boy illustration that is woven throughout their store, that was definitely something that we needed to continue to feature prominently in the work,” said Pamela Long, director of client services at Little Big Brands, who worked on the project. “We wanted people to be able to find the products that they were looking for very easily,” she added. Long said some aspects of the design protocol remain the same when creating a renovation rather than a complete remodel, but capturing both the old and the new can be a bit tricky. Long and her team were able to respect what consumers recognize about Stew Leonard’s dairy line and the final product is new but instantly recognizable by loyal customers who are used to the uniquely offbeat brand that is Stew Leonard’s. Long said that Stew Leonard’s was a “very different client” because it was willing to experiment and perhaps even fail while testing a design. While the client may have been willing to fail, Little Big Brands succeeded in its first task of designing new milk packaging. Due to the success of the endeavor, the team was granted the opportunity to work on some other products. Long and her team moved on to Stew Leonard’s yogurts and then tackled the RTD selections. She labeled the assignments as a progression through the store. Stew Leonard’s is currently a five-location operation with a sixth store arriving in August. It is headquartered in Norwalk, Conn., and currently employs more than 2,000 people.